Interested in Studying Abroad in Norway this Summer? 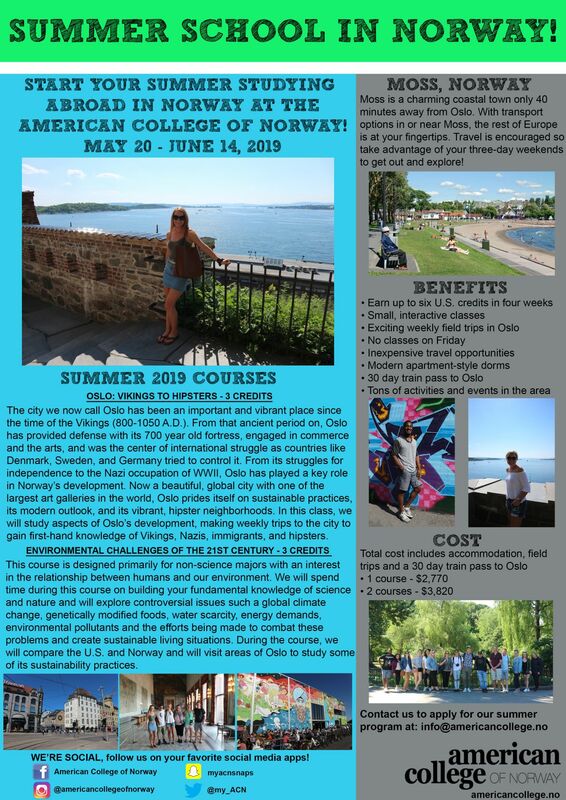 Join the American College of Norway’s Summer School Program! Do you want to kick start your summer with a once in a lifetime European adventure studying abroad in Norway? If so, come join us at the American College of Norway (ACN) for our four-week summer program from May 20 – June 14! Every year, ACN offers an exciting four-week summer program and this year is no exception! During our summer session, students have the opportunity to earn up to six U.S. credits in small, interactive classes. Summer school at ACN is a unique experience both in and out of the classroom with exciting weekly field trips in Østfold and Oslo. Additionally, classes are scheduled Monday through Thursday leaving a three-day weekend every weekend where students can easily and affordably explore Norway and the rest of Europe! 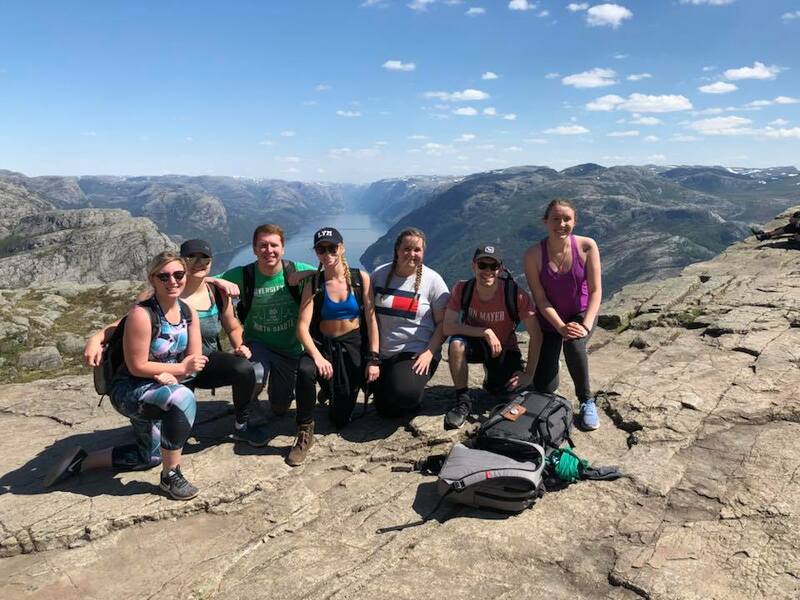 In addition to the many benefits our summer program has to offer, participating students are offered a great introduction to daily life in Norway. During the program, students live on a historic street in Moss (click here to see pictures) and take classes heavily focused on various aspects of Norwegian life and society. If you’re looking for an authentic Norwegian experience while studying abroad in Norway, look no further! ACN and our summer program are the perfect recipe for a educational and eventful introduction to Norway! See the poster below for more detailed information about courses offered, our city Moss, housing, travel opportunities, etc. And visit our English website by clicking here. Also, feel free to contact us at info@americancollege.no with any questions you have. And to apply, click here to fill out our easy online application. Start packing your bags and we will see you this summer studying abroad in Norway at the American College of Norway! Click here to read more about Lexy’s experience last summer and watch our study abroad video here! Earn Additional U.S. Credits at an Inexpensive Price this Summer at the American College of Norway! Did you know that you can earn U.S. credits towards your bachelor's degree this summer at the American College of Norway?